Gift vouchers make the perfect present for a number of occasions. From birthdays to Christmas, anniversaries to just treating a loved one. 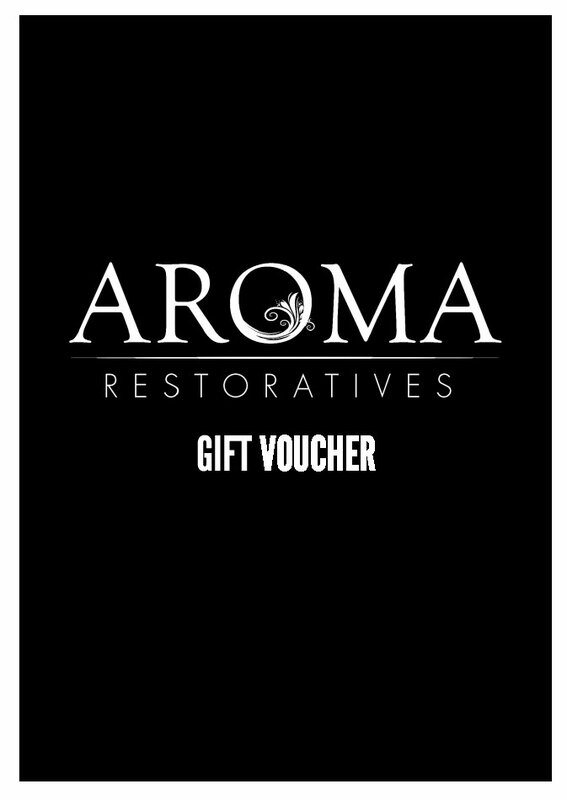 Gift vouchers can be redeemed against any massage type or product, including pregnancy massages. When a gift voucher is purchased you will receive a gift voucher with a unique code. These are available to collect from Aroma Restoratives or we can post out by 1st class post*. When the recipient is ready to book their massage or purchase products they just need to enter the unique code at the checkout to redeem their voucher. CHRISTMAS POSTING DATES: Vouchers are sent by 1st class post. Orders must be received by 3pm on Thursday 21st December for postage prior to Christmas. Orders received after this date will be sent by personalised email, see below. Want the recipient to receive their gift immediately? We can send out a personalised email, just let us know in the 'notes' section which method you would prefer. Please also advise us of the occasion. Vouchers are valid for 6 months from the date of purchase.